When hiring a professional house cleaning service, not just any one will do. Find out what to look for in a professional house cleaning service here! Is your busy lifestyle preventing you from keeping your house clean? Hectic schedules are often at odds with the desires of homeowners who want to live in a clean house without having to sacrifice anything else on their to-do list. Fortunately, busy homeowners can always hire a house cleaning company to do the cleaning for them! But not just any will do, as not all house cleaning services are the same. Here’s what to review when you’re in the market for a house cleaning service. The cleaning requirements of a house can vary greatly depending on the size and location of the house, as well as the needs of the people that occupy it. When you’re looking for a house cleaning company, consider the range of services they offer. Ask prospective cleaners whether they provide fixed service or they can customize their services to suit your specific needs. For example, you may decide to do daily chores like cleaning dishes on your own and only require help with special cleaning tasks such as floor scrubbing, window cleaning, dusting and so on. The right company should match your needs and your lifestyle in the best way possible. Check out our cleaning services on our website today! How do prospective house cleaning pros calculate how much you should pay for serviced rendered to you? 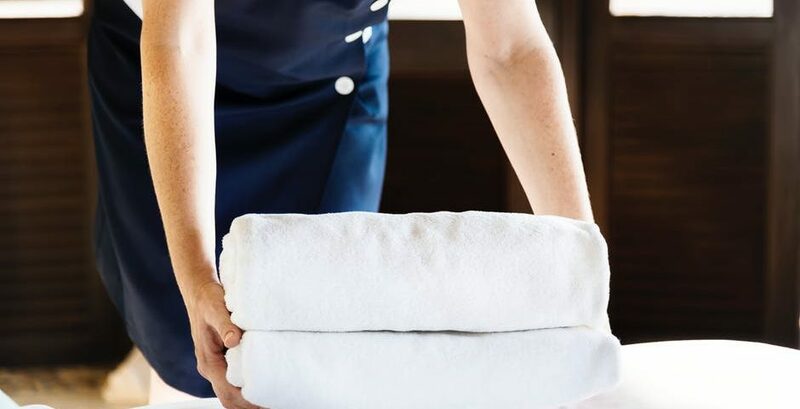 The vast majority of house cleaning services charge their clients an hourly rate on the first visit, but may also charge depending on the nature of the project, or the number of employees assigned to the job. Thereafter, expect to pay a flat rate for subsequent visits. How much you pay will depend on your house cleaning needs and how frequently cleaning service is needed. Before choosing a house cleaner, ask them to estimate how long it might take to clean your home. Also, find out if they’ve put a cap on how much you should pay for cleaning service. Check out our rates on our website today! House cleaning pros take out insurance and surety bonds to ensure their clients are protected against property damage or loss. When you hire a house cleaner that’s insured and bonded, you won’t have to worry about the security of your household belongings with strangers around. It is, however, a good idea to inform your cleaning guys about any items that require special handling. Also, make sure your preferred house cleaning professional carries workers compensation insurance. This will help to ensure you’re not held liable in the event a member of the cleaning staff gets injured in your home. How long has the cleaning company been in business? The best cleaning services have been around for a while, and have a reputation for providing satisfactory cleaning results year in and year out. You can’t go wrong with a well-established company with long-serving employees. A newly-formed company or an old company with a high employee turnover rate might not be the right choice. Regularly using domestic cleaning products could harm your health. This is because these cleaning products may contain chemicals that affect the air quality inside your home. The best way to keep your household safe is to let a house cleaning professional do the cleaning for you. They’ll choose safe cleaning products for your home. This is vital for minimizing health hazards, but also improving your overall quality of life. You should also understand that most house cleaning services only do general cleaning tasks. Special cleaning jobs like carpet cleaning and roof gutter cleaning may require the services of dedicated professionals. If you need professional help with your house cleaning, don’t hesitate to contact us today!